than perhaps anything else. It really is true that “you are what you eat”, and good nutrition results in a healthy body and a balanced mind. Nutrition is the science that establishes the relationship between a person’s diet and their levels of health. These all need to be consumed on a daily basis. If any one of these becomes low or deficient, a negative impact occurs on the body and illness or a general feeling of being unwell may result. Carbohydrates are the body’s main source of energy and include all grains based products (breads, cereals, rice, pasta), legumes, fruit, vegetables, and all forms of sugar. 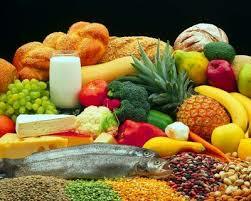 Carbohydrates are converted into simple sugars, mainly glucose, by the body’s digestive system. This glucose is then transported to cells via the blood stream. Insulin is released by the pancreas to help the glucose move from the blood into the cells. Once inside the cell, the glucose is burned along with oxygen in order to produce energy. Any excess glucose in the body is converted into glycogen which is stored inside the muscle tissue and the liver. This glycogen is ready for use if blood sugar levels should drop. Fats have received bad press over the years but the truth is that fat is important in the body and we do need some for optimal health and energy. Fat plays a role in many bodily processes-it forms a protective layer around the organs, helps to keep the body warm, assists in the transportation and absorption of nutrients, and helps in the production of hormones. It also feeds the brain which is mainly comprised of fat so it helps with cognition, IQ, and memory as well as preventing depression, autism, ADHD and other brain disorders. The key with fats is to choose the healthy fats such as mono-unsaturated fats and poly-unsaturated fats. Including these in your diet can help to lower the levels of blood cholesterol. Fatty acids are also an important component of your diet as your body is unable to manufacture them itself. There are two main types of fatty acids–omega 3 and omega 6. Omega 3 is found in plant and marine foods, while omega 6 is found mainly in nuts, seeds, and plant oils. Fatty acids are important for reducing the risk of heart disease, inflammatory conditions such as arthritis, eczema and allergies. Saturated fats are found in animal products, dairy, fast foods, and processed foods. These fats increase the level of cholesterol in the body and therefore should be avoided where possible by choosing lean cuts of meat, reduced-fat dairy products, and to eat a diet that is low in processed or refined foods. Trans-fatty acids are found in many processed foods and are dangerous because they increase the levels of bad cholesterol in the blood as well as reducing the levels of good cholesterol, thus increasing the risk of heart disease. Fats contain twice as many kilojoules per gram than carbohydrates or protein, so foods that are high in fats are also high in kilojoules, which needs to be taken into consideration if you are trying to lose weight. reduces the risk of heart disease, diabetes and some forms of cancer such as colon cancer. There are two types of fibre, soluble and insoluble. Soluble fibre dissolves in water and it is excellent for controlling cholesterol and blood sugar levels. Insoluble fibre is referred to as “roughage” and it is best for increasing stool volume and relieving constipation. Both types of fibre need to be included in the diet along with adequate water intake. If you don’t drink enough water you may end up more constipated! Fibre an help with weight loss as foods that are high in fibre are digested more slowly, leaving you feeling fuller for longer. They are also low in fat. Fibre also delays the absorption of sugar in the intestines, meaning that blood sugars levels do not spike, which can result in obesity and diabetes. Protein makes up an enormous part of the human body with the hair, skin, nails, muscles, and brain cells. Protein is found in animal, soy and dairy products, legumes, sprouts, nuts and seeds, and some grains. Proteins are made up of smaller chemicals called amino acids which are used for protein synthesis, as precursors to other compounds, and for energy. Dehydration occurs when the body does not have enough water over a prolonged period of time. Some symptoms include: headaches, muscle cramps, lethargy, indigestion, changes in mood, allergies, dry nasal passages, dry or cracked lips, dark coloured urine, weakness, tiredness, and poor concentration. Six to eight glasses of fluid should be consumed each day as a general guideline. More may be required for some people. Sources of water include fluids such as water, herbal teas, fruit or vege juices, smoothies made with water, broths and soup. Vitamins and minerals are another essential part of our diet. Vitamins are natural, chemical substances that are used by the body in many daily functions such as growth and cell reproduction. There are two types of vitamins–fat soluble and water soluble. Fat soluble vitamins include vitamin A or retinol, vitamin D, vitamin E, and vitamin K. These are vitamins that can be stored within the body in the liver and within the body’s fat. Water soluble vitamins include the B group of vitamins, folic acid or folate, and vitamin C. While these are also able to be stored within the body, they are stored for shorter periods of time. Vitamin deficiencies can be avoided by eating a wide range of wholesome natural foods, preferably organic. Minerals are inorganic elements that are necessary for the body to function correctly and they serve two major purposes. They build the skeleton and soft tissues of the body, and they also regulate the heartbeat, blood clotting, internal fluid pressure, nerve responses and oxygen transport. Minerals may be classed in two categories–“major” minerals, and trace minerals. Major minerals include calcium, phosphorus, sodium, potassium, chlorine, sulphur and magnesium, and the body needs relatively large amounts of these. Trace minerals include iron, copper, zinc, cobalt, manganese, fluorine, molybdenum, silica and selenium. Antioxidants are substances that occur in nature and which neutralise free radicals in the body which can contribute to heart disease, diabetes and cancer. Excessive amounts of free radicals can be caused by things such as smoking, pollution, drinking alcohol, high-fat diets, and over-exposure to the sun, which can all cause premature ageing. Eating a diet based on fresh fruits and vegetables, wholegrains, gogi berries, spirulina, berries, grape juice or red wine, and green tea is the best way to increase your antioxidants. The human body is designed for a high potassium diet, not a high sodium diet. What is happening in many diets is that the levels of sodium are increasing while the levels of potassium are decreasing. Potassium is very protective lowers blood pressure and helps with muscle contraction and relaxation. Eliminate traditional table salt which cannot be absorbed properly and replace with Celtic Sea salt or Himalayan Rock salt which contains all the elements we need. It is important to practice moderation in our diets as much as in the rest of our lives. As long as you eat fresh, healthy foods the majority of the time, it’s ok to have the occasional treat so that we don’t feel like we’re depriving ourselves!